Can anyone give information on this photograph. See note below. Photo courtesy of Jill Armstrong. Front Row: Ida Mallender, Hilda Leah, Tina Levers, Ethel Burgess, Hazel Wild. 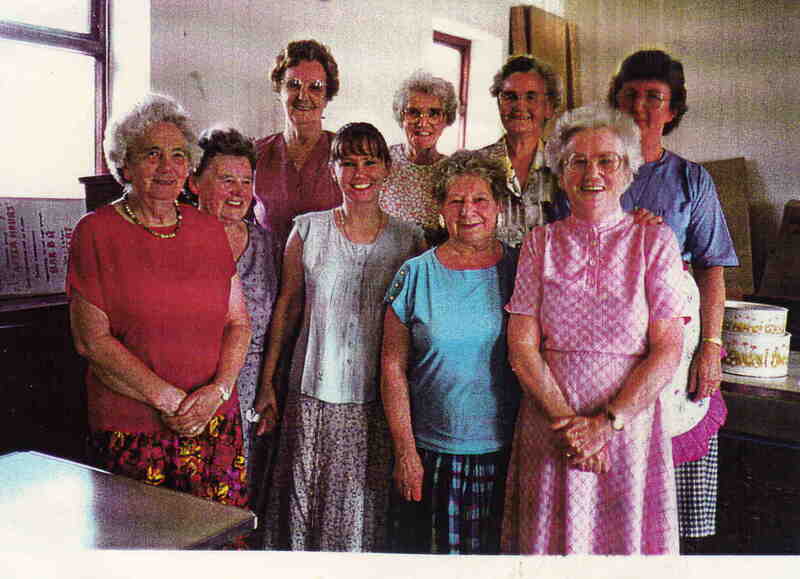 The photograph was taken around 2000 of the ladies who served the tea and toast at the Methodist chapel on Market Day on Thursdays. It wasn’t taken for a particular reason, – only by a regular customer trying out his camera. Can you give any information about this photograph. Back row (left to right): Jessie Armstrong, ? ?, Hilda Davison, ?? Front row (left to right): Ida Mallender, Hilda Lear?, Ethel Burgess?, ?? Can anyone confirm the names or fill in the gaps please?